The MSF team explains the goals of the comprehensive mental health project for victims of the armed conflict and other situations of violence, and also for survivors of sexual violence in the urban area of Tumaco. Doctors Without Borders/Médecins Sans Frontières (MSF) teams treated 645 survivors of sexual violence in two Colombian cities in 2016. 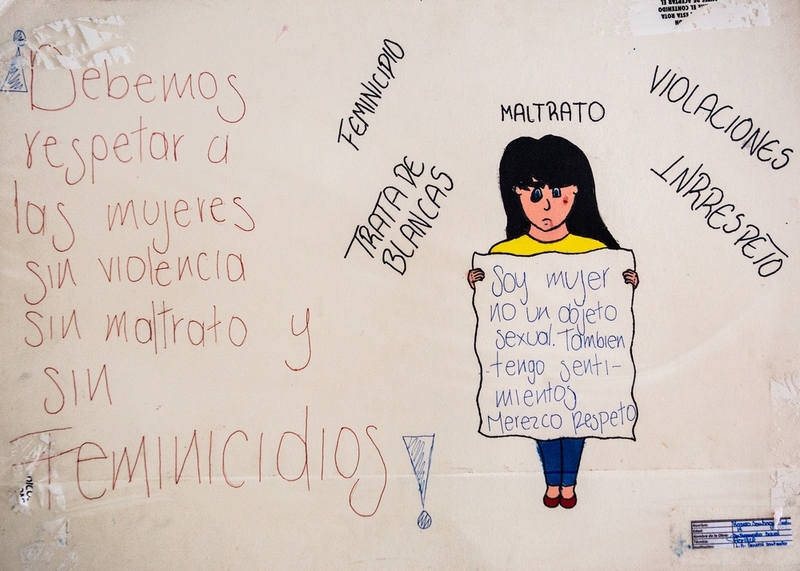 Though sexual violence against women and girls is one of the most frequently committed forms of assault in Colombia—and around the world—each year, it remains a largely underreported and unacknowledged crime. In some places, this abuse is so common, it’s actually considered acceptable or part of the norm. MSF provided comprehensive care—medical and psychological services—for victims of sexual violence in Tumaco and Buenaventura, coastal cities in southwestern Colombia that saw high rates of violence in general in 2016. Ninety percent of MSF’s sexual violence patients were women. These figures indicate the urgent need for a guaranteed, comprehensive approach for survivors from public health organizations in Colombia. This means that the path to treatment for survivors needs to be expedited and community outreach activities should be consistently carried out in order to raise public awareness about the importance of seeking immediate medical care. MSF patients have reported that a major reason they did not seek care from public health institutions after being sexually assaulted is that survivors who have done so have often experienced revictimization and stigmatization. For example, patients have been denied access to care because they have not reported the crime to the police. There may also be a lack of trained staff to provide the necessary treatment, including the legal termination of pregnancy for women who have been raped. In order to prevent HIV infection or unwanted pregnancies, and to protect against other communicable sexual diseases such as hepatitis B, survivors must receive emergency medical care within 72 hours of a sexual assault. However, there is a lack of awareness of this among the general population. Local and national health institutions in Colombia rarely conduct health promotion campaigns to inform the public about the medical services that survivors of sexual violence need. These obstacles contribute to survivors of sexual violence choosing to remain silent. For women and girls living in areas such as these, where urban violence is a frequent occurrence, and for those suffering from the consequences of armed conflict, the risk of sexual assault is higher. The national agency tasked with providing care for survivors, Unidad para la Atención y Reparación Integral a las Víctimas or UARIV, reported that 70 cases of sexual assault committed during 2016 were related to conflict. This figure is probably just the tip of the iceberg, however, as sexual offences in these scenarios are especially underreported. In the face of such alarming realities for women and girls in Colombia, MSF insists that comprehensive physical and mental health care for survivors of sexual violence be made a priority and that this public health problem must be addressed promptly and fully by providing comprehensive treatment that includes mental health care for survivors.